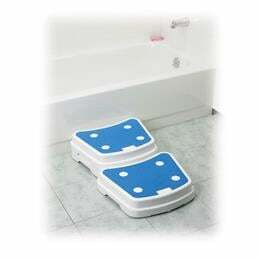 The Portable Bath Step by Drive Medical makes getting in and out of the bath tub easy and safe. It adds a 4" boost with an attractive, slip-resistant textured soft top and rubber feet, ensuring user safety and comfort. This bath step has a unique modular design which allows the multiple steps to be stack, adding an additional 2" with every step. 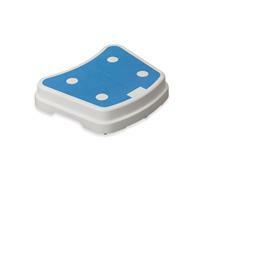 The bath step comes with four removable covers on the surface that locks into another step when stacking. 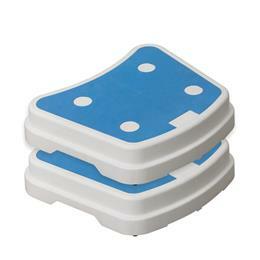 The plugs can be removed when stacking steps to ensure a secure fit. Has a weight capacity of 300 lbs.